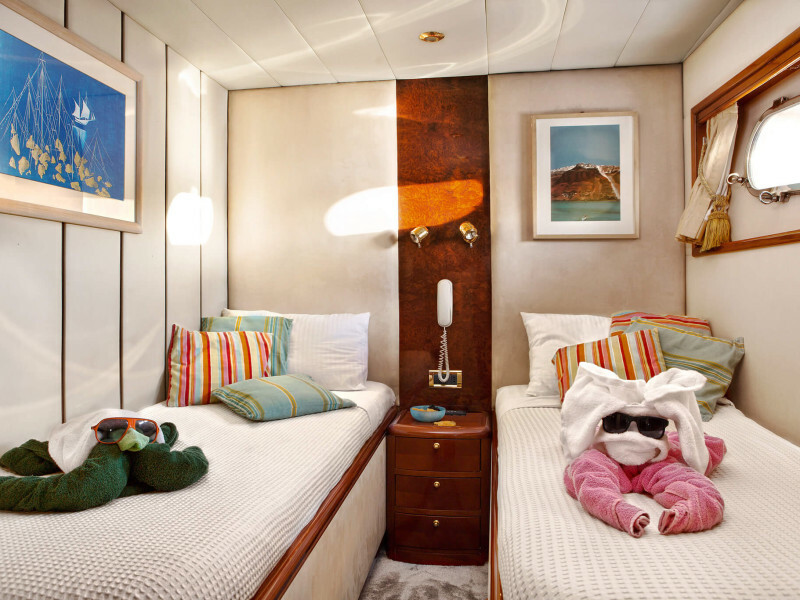 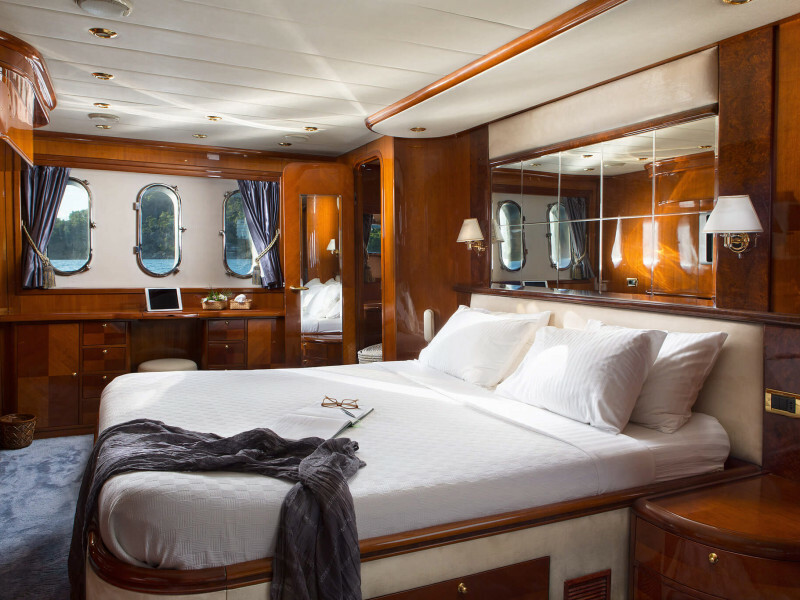 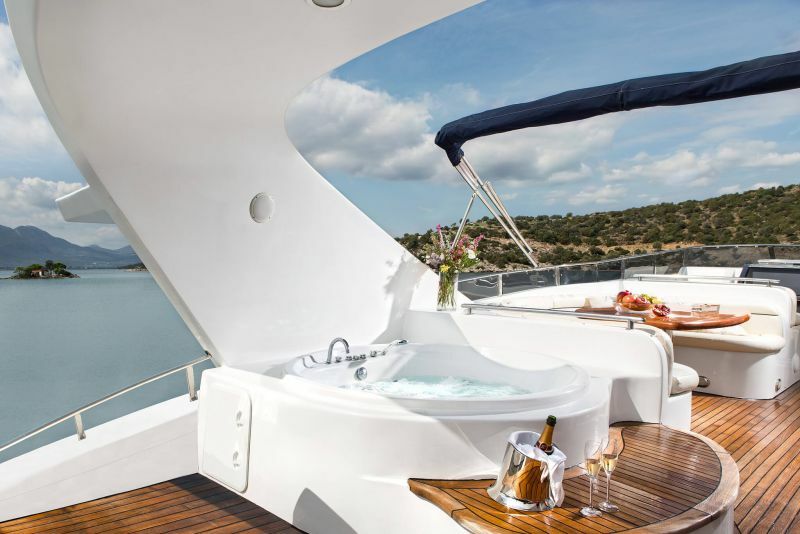 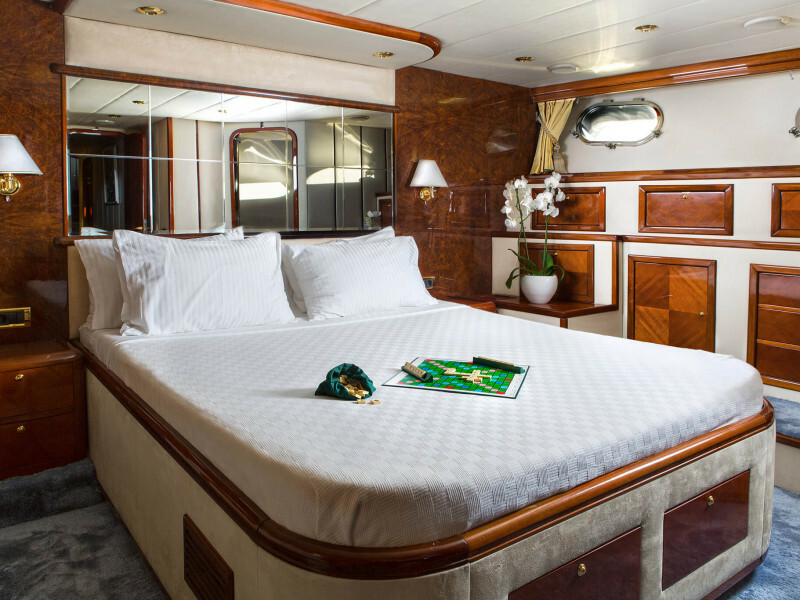 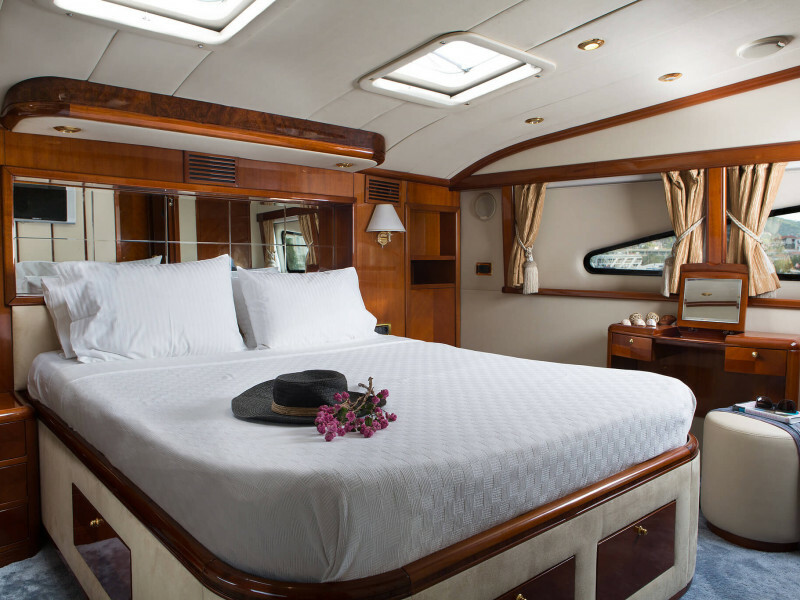 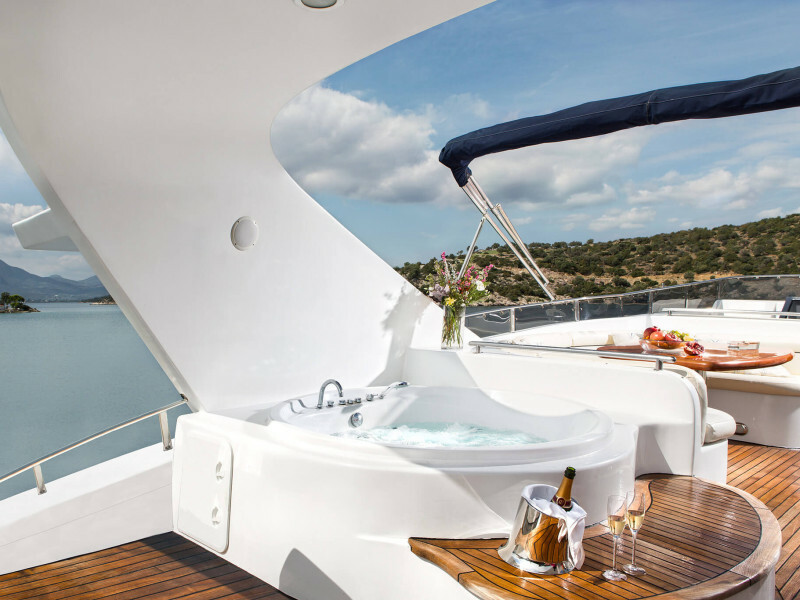 Built in 2007, her traditionally styled interior offers all the comforts of home, including two Jacuzzi tubs, one in the Master bathroom and one on the upper deck. 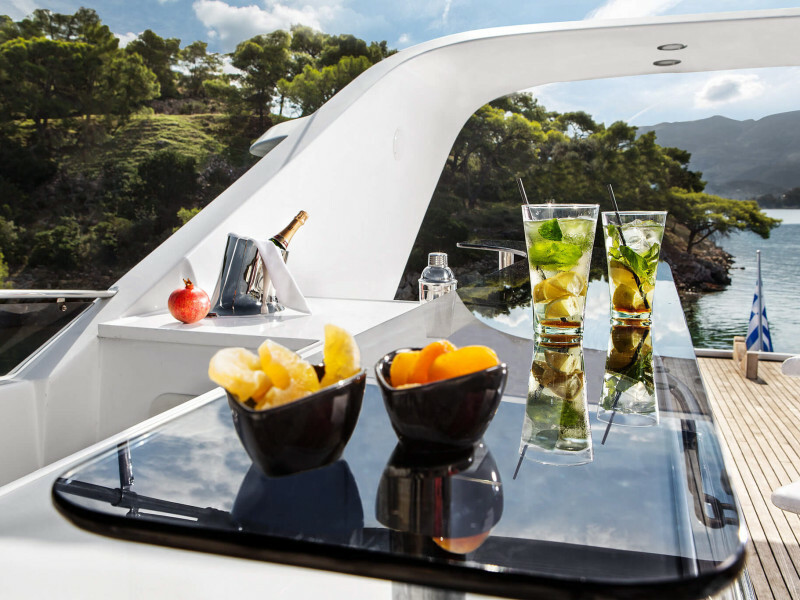 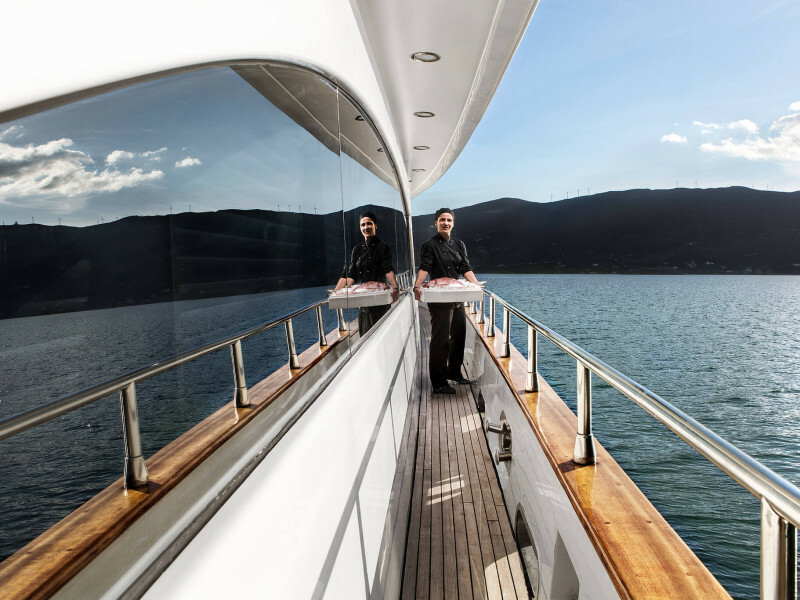 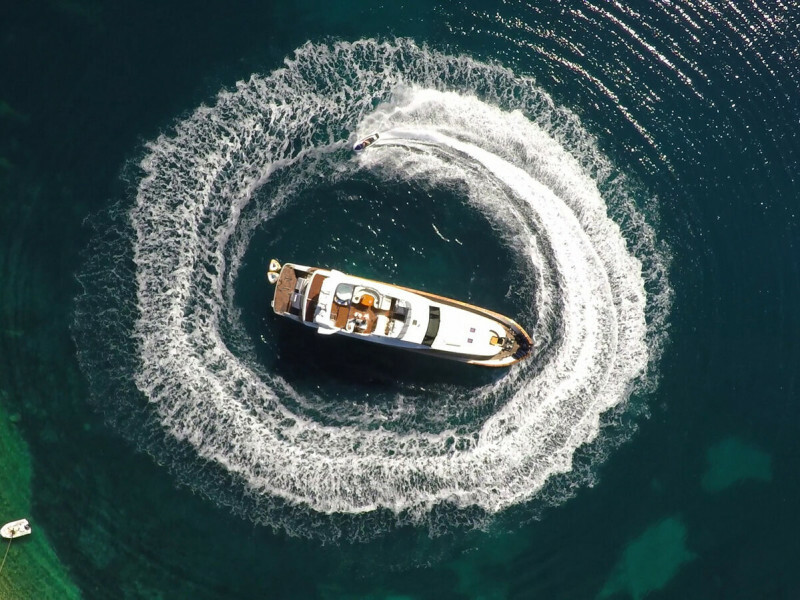 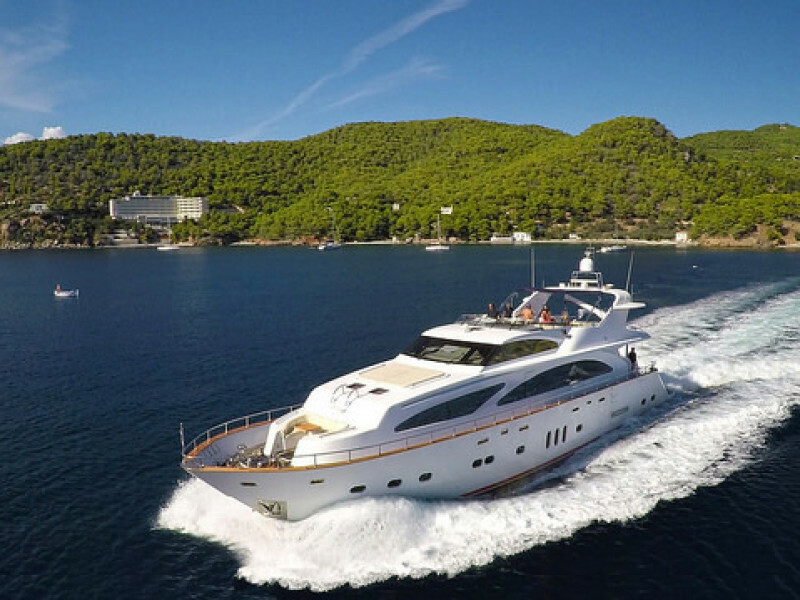 Her 93 foot length (28.4m) allows for multiple dining options, inside and out and with a cruising speed of 20 knots, she can take you anywhere quickly and comfortably. 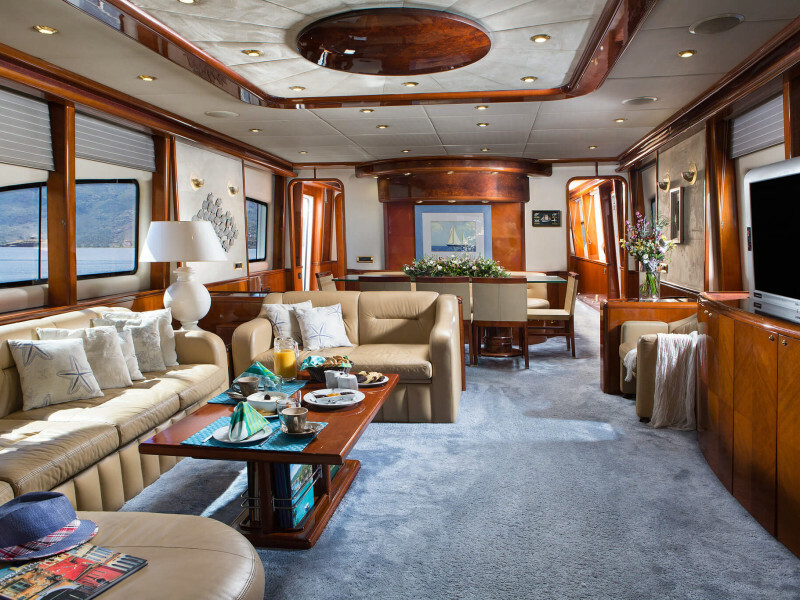 The main living space of the salon boasts a large, sectional-style sofa wrapped in plush leather, with two matching armchairs for additional seating, perfect for viewing the retractable large screen LCD television, or listening to music on the stereo system. 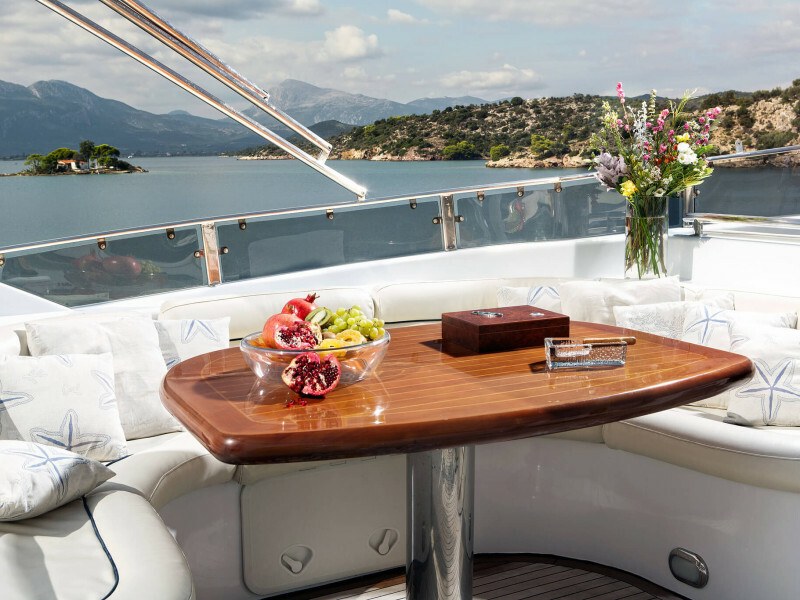 The main dining area, located just off of the salon, offers convenient dining for ten at a contemporary, glass-topped table with leather wrapped chairs. 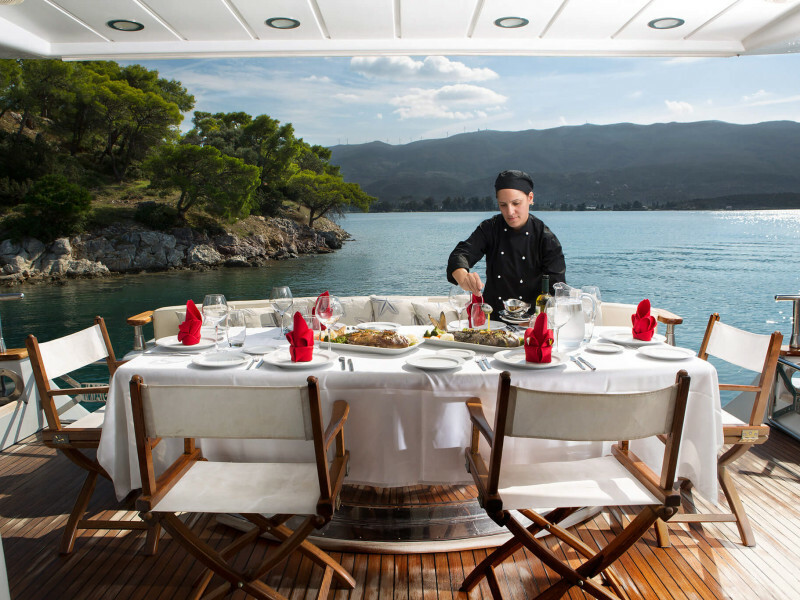 Other dining options can be found on both the aft and upper decks, each with accommodation for ten. 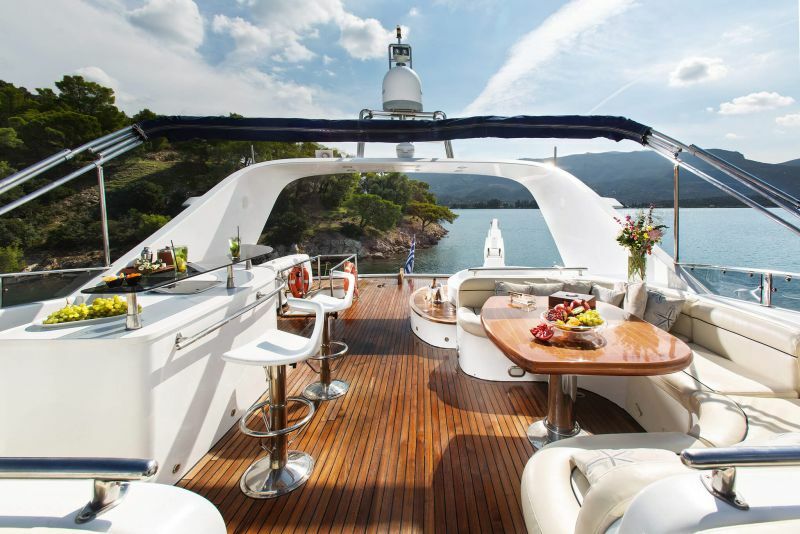 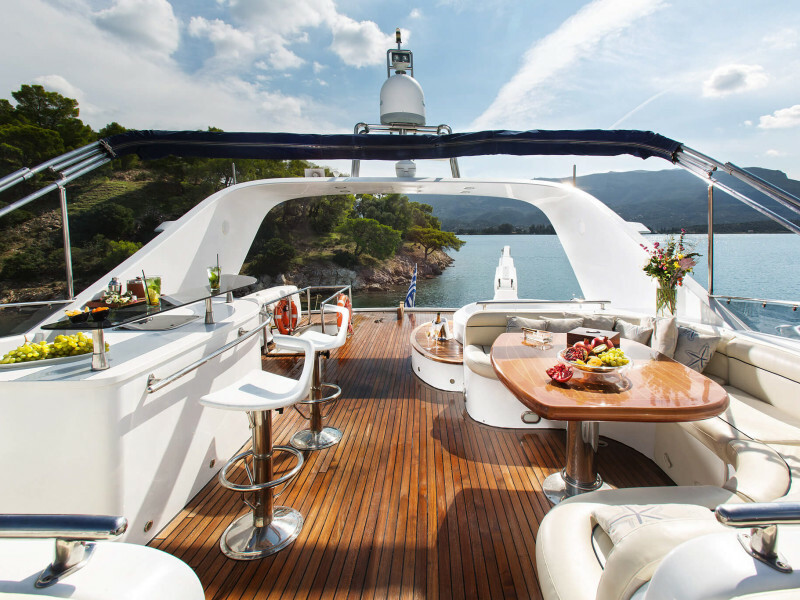 The fore deck offers room for sun-bathing, while the upper deck provides the means for an authentic barbeque complete with grill and a full service bar.